On Saturday 22nd January 2011 David Tennant presented the People's Choice Award to Miranda Hart at the British Comedy Awards. This event was screened live on Channel 4, plus David was interviewed afterwards on the Live Lock-in Show on E4. 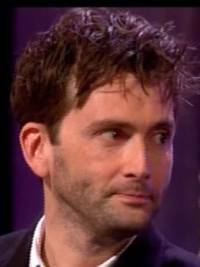 For posts related to David Tennant at the British Comedy Awards on Blogger.com click here.